In this short video case study, Angela Joyce (Subject Librarian) and Dr Janet Orchard (School of Education) discuss their attempts to deliver Library Skills workshops to students at a partner institution in Hong Kong. Sometimes when trying new technologies things can go wrong, but with a bit of planning it’s OK to fail. Learning from the experience can help to make subsequent attempts a success. In this short video case study, Dr Hazra Aya of the Centre for Applied Anatomy discusses a series of videos she created. The Digital Education Office loaned her a Surface Pro and pen, with Camtasia and the Microsoft Whiteboard app installed. With a bit of support, Hazra partially drew diagrams and then recorded herself talking through and completing the images, creating short videos introducing concepts for students to view before lectures and lab time. Once the videos were uploaded she then added interactive quizzes to the videos using Re/Play (Mediasite). For our latest reading group, following Sian Bayne’s fascinating Near Future Teaching seminar for BILT, we wanted to look in more depth at the project materials and related reading. Michael read ‘Using learning analytics to scale the provision of personalized feedback,’ a paper by Abelardo Pardo, Jelena Jovanovic, Shane Dawson, Dragan Gasevic and Negin Mirriahi. Responding to the need to be able to provide individual feedback to large classes of students, this study presented and tested a novel system for utilizing learning analytic data generated by student activity within a learning management system in order to deliver what the authors called ‘personalized’ feedback to students. As it was designed, the system allowed instructors to create small, one or two sentence pieces of feedback for each activity within a course. Based on these, each week students would be able to receive a set of ‘personalized’ feedback that responded to their level of participation. In the study, the authors found an improvement in student satisfaction with the feedback they received, but only a marginal improvement in performance, as compared to previous years. There were limits to the methodology — the study only made use of at most three years of student data for comparison — and the author’s definition of ‘personalized feedback’ seemed in practice to be little more than a kind of customized boilerplate feedback, but nevertheless the study did have a few interesting points. First, it was admirable in the way that it sought to use learning analytics techniques to improve feedback in large courses. Second, the authors took the well thought out step to not make the feedback given to be about the content of the course, but instead it focused on providing feedback on student study habits. That is, the feedback might encourage students to make sure they did all the reading that week if they weren’t doing well, or might encourage them to be sure to review the material if they had already reviewed it all once. Third, the article offered an interesting recounting of the history of the concept of feedback as it moved from focusing only on addressing the gap between targets and actual performance to a more wholistic and continuous relationship between mentor and student. Suzi read Higher education, unbundling, and the end of the university as we know it by Tristran McCowan. This paper starts with a thorough guide to the language of unbundling and the kinds of things that we talk about when we talk about unbundling, followed by an extensive discussion of what this means for higher education. My impression from the article was that “unbundling” may be slightly unhelpful terminology, partly because it covers a very wide range of things, and partly because – if the article is to be believed – it’s a fairly neutral term for activities which seem to include asset-stripping and declawing universities. As an exploration of the (possible) changing face of universities it’s well worth a read. You can decide for yourself whether students are better off buying an album than creating their own educational mixtape. Roger read “Future practices”. For world 1 , human led and closed, I was concerned that lots was only available to “higher paying students” and there was no mention at all of collaborative learning. For world 2, human led and open, I liked the the idea of the new field of “compassion analytics”, which would be good to explore further, lots of challenge based learning and open content. World 3, tech led and closed, was appealing in its emphasis on wellbeing in relation to technology, and a move away from traditional assessment, with failure recognised more as an opportunity to learn, and reflection and the ability to analyse and synthesise prioritised. From world 4 I liked the emphasis on lifelong learning and individual flexibility for students eg to choose their own blocks of learning. new forms of value – enabling e.g. the recording and verification of all educational achievements and accumulation of credit over one’s lifetime, or the creation of direct contracts between student-academic. I liked it because it gave both pros and cons in a concise way. It allows you to understand why these trends would be useful and could be adopted widely, at the same time as you are getting a glimpse of the dystopian learning environment they could create if used before ethical and other implications have been considered. Pardo, A., Jovanovic, J., Dawson, S., Gašević, D., & Mirriahi, N. (2017). Using learning analytics to scale the provision of personalised feedback. British Journal of Educational Technology. McCowan, T. (2017). Higher education, unbundling, and the end of the university as we know it. Oxford Review of Education, 43(6), 733-748. Chrysanthi read “Thanks, but no-thanks for the feedback”. The paper examines how students’ implicit beliefs about the malleability of their intelligence and abilities influence how they respond to, integrate and deliberately act on the feedback they receive. It does so, based on a set of questionnaires completed by 151 students (113 females and 38 males), mainly from social sciences. Mindset: There are two kinds of mindsets regarding malleability of one’s personal characteristics; People with a growth mindset believe that their abilities can grow through learning and experience; people with a fixed mindset believe they have a fixed amount of intelligence which cannot be significantly developed. “If intelligence is perceived as unchangeable, the meaning of failure is transformed from an action (i failed) to an identity (i am a failure)” (p851). Attitudes towards feedback: Several factors that influence whether a person accepts a piece of feedback – e.g. how reflective it is of their knowledge and whether it is positive or negative – were measured, as well as 2 outcome measures. Defence mechanisms: Defence mechanisms are useful in situations we perceive as threatening, as they help us control our anxiety and protect ourselves. But if we are very defensive, we are less able to perceive the information we receive accurately, which can be counterproductive; e.g. a student may focus on who has done worse, to restore their self-esteem, rather than who has done better, which can be a learning opportunity. The results of the questionnaires measuring the above showed that more students had a fixed mindset (86) than growth (65) and that their mindset indeed affected how they responded to and acted on feedback. Growth mindset students are more likely to challenge themselves and see the feedback giver as someone who can push them out of their comfort zone in a good way that will help them learn. They are more motivated to change their behaviour in response to the received feedback, engage in developmental activities and use the defence mechanisms considered helpful. Fixed mindset students are also motivated to learn, but they are more likely to go about it in an unhelpful way. They make choices that help protect their self-esteem, rather than learn, they are not as good at using the helpful defence mechanisms, they distort the facts of the feedback or think of an experience as all good or all bad. The authors seemed puzzled by the indication that fixed students are motivated to engage with the feedback, but they do so by reshaping reality or dissociating themselves from the thoughts and feelings surrounding said feedback. Academics should be careful in how they deliver highly emotive feedback, even if they don’t have the time to make it good and individualised. Lectures & seminars early in students’ studies, teaching them about feedback’s goal and related theory and practice, as well as action action-orientated interventions (eg coaching), so they learn how to recognize any self-sabotaging behaviours and manage them intelligently. Strategies to help students become more willing to experience – and stay with – the emotional experience of failure. Eg, enhance the curriculum with opportunities for students to take risks, so they become comfortable with both “possibility” and “failure”. I think trying to change students’ beliefs about the malleability of their intelligence would go a long way. If one believes their abilities are fixed and therefore if they don’t do well, they are a failure, a negative response to feedback is hardly surprising. That said, the responsibility of managing feedback should not fall entirely on the student; it still needs to be constructive, helpful and given in an appropriate manner. Suzi read: An outsider’s view of subject level TEF, A beginner’s guide to the Teaching Excellence Framework, Policy Watch: Subject TEF year 2 by the end of which she was not convinced anyone knows what the TEF is or how it will work. Each institution is presented with six metrics, two in each of three categories: Teaching Quality, Learning Environment and Student Outcomes and Learning Gain. For each of these measures, they are deemed to be performing well, or less well, against a benchmarked expectation for their student intake. Right now, the metrics in TEF are in three categories. Student satisfaction looks at how positive students are with their course, as measured by teaching quality and assessment and feedback responses to the NSS. Continuation includes the proportion of students that continue their studies from year to year, as measured by data collected by the Higher Education Statistics Agency (HESA). And employment outcomes measures what students do (and then earn) after they graduate, as measured by responses to the Destination of Leavers from Higher Education survey – which will soon morph into Graduate Outcomes. It takes into account the incoming qualifications of the students (so it does something like the “value add” thing that school rankings do) but some people have expressed concern that it will disincentivise admitting candidates from non-traditional backgrounds. Suzi also read Don’t students deserve a TEF of their own which talks about giving students a way in to play with the data so that, for example, if you’re more interested in graduate career destinations than in assessment & feedback you can pick on that basis (not on the aggregated data). It’s an interesting idea and may well happen but as a prospective student I can’t say I understood myself — or the experience of being at university — well enough for that to be useful. There’s also a good response talking about the kind of things (the library is badly designed, lectures are at hours that don’t make sense because rooms are at a premium, no real module choice) you might find out too late about a university that would not be covered by statistics. Roger read “How to do well in the National Student Survey (NSS)” an article from Wonkhe, written in March 2018. 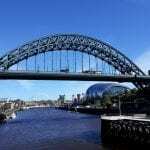 The author, Adrian Burgess, Professor of Psychology at Aston University, offers some reflections based on an analysis of NSS results from 2007 to 2016. Whilst many universities have placed great emphasis on improving assessment and feedback, this has “brought relatively modest rewards in terms of student satisfaction” and remains the area with the lowest satisfaction. Burgess’ analysis found that the strongest predictors of overall satisfaction were “organisation and management” closely followed by “teaching quality”. Amy read Feedback is a two-way street. So why does the NSS only look one way?, an article by Naomi Winstone and Edd Pitt. This piece highlighted the issue that the NSS questions on feedback are framed as if feedback should be a passive experience – that students should be given their feedback. In 2017, the question was changed from “I have received detailed comments” to “I have received useful comments”. Both the old and new question frames feedback as something that is received, a ‘transmission-focussed mindset’, whereas Winstone and Pitt argue that feedback should be a two-way relationship – with the student working with the feedback and their tutor to develop. The authors do not believe that changing the NSS question will solve all of the problems with students perception of feedback (though it will definitely help!) but they do believe that by promoting feedback as something that individuals work with, have responsibility for and seek out if they feel they need to develop in a certain area, that gradually the mindset will change and become a more sustainable form of learning for students. What have we learned from the new (and improved) NSS? Feedback is a two-way street. So why does the NSS only look one way? The summary comments written by Jessica Gramp summed up the OU course and gave a good overview of what the course covered, as well as an idea of how wide the disability scope is. It was an interesting read for someone who’s knowledge of accessibility in e-learning is quite limited. The idea of society restricting those with impairments through inaccessible design was interesting, as it is something most people have done, but often give little thought to. We often like to design things to look ‘pretty’ but give little thought to those using screen readers or think about how we would describe an image for example. What is also mentioned in the post is how accessibility is about both technical and usable access for people with disabilities. Jessica gives the example of a table of data. Although it may be technically accessible for someone who is blind, the meaning of the data would be lost on a screen reader and would no sense and be unusable to the user. The post and course both talk about evaluation accessibility, but for me it’s something that needs to come right at the beginning of the design. There is no point designing something that uses spreadsheets for example if screen readers won’t produce the correct data and meanings to the users. The last point Jessica makes, which I really liked, was that accessible learning environments help everyone, not just those with disabilities. A thought-provoking blog post that gave me a lot to think about and made me put more thought into the work I create online. These are all good points, but the writer of the article points out that accessibility needs may be more important than these factors. With such a wide range of disabilities, lecture capture could provide help in lectures to those that need it. The question also needs to be answered that if they aren’t going to use lecture capture, what are they doing to help their students with disabilities? It was an interesting article that makes us think about how much accessibility weighs in within teaching and learning. It should be at front of what we are thinking when we first start designing how we are going to teach, or present data. But there is often a stigma and it can also cause tensions and challenges. Going forward, these need to be addressed, rather than be ignored. Not suggestions I have seen before in an accessibility context, possibly because they are more difficult to implement. In particular, the idea of limiting distracting information – that being an accessibility issue – seems obvious once it’s been said. It’s something that would be welcome for a wide range of our students and staff. Don’t use white slide backgrounds because of the glare. For example, GOV.UK slide decks use black text on grey or white text on dark blue. Give audio or text descriptions of any video in your presentation. There are also some interesting suggestions in the comments. I found the comments particularly interesting as they seem to be individuals speaking directly about their own needs (or possibly those of people they work with) and what they would find most useful. Suggestions include ensuring there is good 3G or 4G coverage, as wifi might not be enough to support assistive technologies, and opening with a roll call (because as a blind person you can’t just glance around the room to see who is there). One commenter suggests you should always sing the key points from your presentation (to an existing tune, no need to compose especially) – an idea I love but not one I’m up to implementing. Safety glasses that visually alert the user about changes in pitch coming from a tool (which can mean the tool will kick back) before the human ear can pick it up (theirs). A potato peeler that was designed for people with arthritis but was so comfortable that others used it. Text messaging, which was originally conceived for deaf people. Her suggestion is to design for people with disabilities first, rather than the norm. This could mean that the solution is not only inclusive, but potentially better, than if it was designed for the norm. So rather than “accommodate” people with disabilities, use that energy to come up with innovative solutions that are beneficial to all. Derek Featherstone makes a similar point to Elise Roy, that designing for accessibility can help everyone. Looking at how outliers/ people at the ends of a spectrum will be influenced by a design decision can also help understand how the average person will be affected. “If we look at the extremes, everybody else is going to be somewhere in the middle”. Between no vision and perfect vision, between no hearing and perfect hearing etc. People with disabilities may have needs for specific types of content, on top of the content everyone else gets, in order to make decisions: e.g. to choose a health provider, they don’t just need to know how far away the provider is, but perhaps where the wheelchair ramp is at the practice, as that might affect whether they choose to go to this one or choose a different one. Designers should find out what kind of extra content they need. Other examples: Are there captions for this film I am considering watching? When trying to make something accessible, it is important to consider why it is included in the first place, rather than just what it is. That could be the difference between providing a confusing textual description of an element, and a clear one of how the information the element portrays affects the people accessing it. E.g. instead of trying to textually describe a change of boundaries on a map, give someone the ability to look up their post code and see if they are affected by that change. Proximity; this known design principle of grouping related items together (e.g. images to their textual explanations, instructions to the parts they refer to etc) is even more important for people with certain types of disability, like low vision. This is because it is much easier for them to lose the context, as they see much less of the interface at a time. Derek suggests getting an understanding of this by examining an interface looking at it through your fist, like holding a straw. Actions, buttons etc should be placed in a way that the desired action is located where the person would expect according to the patterns of use that have been established already. If so far, the action is on a specific part of the screen, changing that will be confusing. Buttons should be distinguishable from each other even without reading, so e.g. for buttons previous & next, using the exact same colours, font, sizes, etc means the user needs to read to distinguish. Finally, it is important to not get so caught up in the technical requirements of making something accessible on paper, that we forget what it is we are trying to achieve. Published in WonkHe in September 2018, this article by Robert McLaren outlines the new regulations for online learning accessibility. McLaren works for the think-tank Policy Connect, which published a report in collaboration with Blackboard Ally after the government ratified the EU Web Accessibility Directive on the 23rd of September. This directive clarifies the position of HE institutions as public sector bodies and thus includes them in the requirements for web accessibility. This means that VLEs, online documents, video recordings etc are all counted as web content, and need to meet the four principles of accessible web design: that it is perceivable, operable, understandable, and robust. Additionally, VLEs will also have to include an accessibility statement outlining the accessibility compliance of the content, directing students to tools to help them get the most from the content (such as browser plugins), and explaining how students can flag any inaccessible content. As McLaren notes, this has long been considered good practice, and isn’t really anything new, but is now a legal duty. The article then outlines several areas which may still need addressing in VLE content. The first is ensuring content is usable. The example he uses is the prevalence of scanned pdfs which are hard or impossible to work with (as they appear as image, rather than text) for disabled students, but also for non-disabled students and those working with mobile devices. From this point, McLaren moves to discuss briefly the idea of universal design, which he defines as “educational practice that removes the barriers faced by disabled students and thereby benefits all students.” In the article, he claims that the rise in universal design has in part been fuelled by cuts to Disabled Students Allowances and the increasing shift in focus to universities to remove barriers for disabled students rather than DSA and other measures which work to mitigate these barriers once they are in place. Last month Pete Herbert and I attended the Association for Learning Technology Conference (#altc) in Manchester. Three pretty full on but thought provoking days. 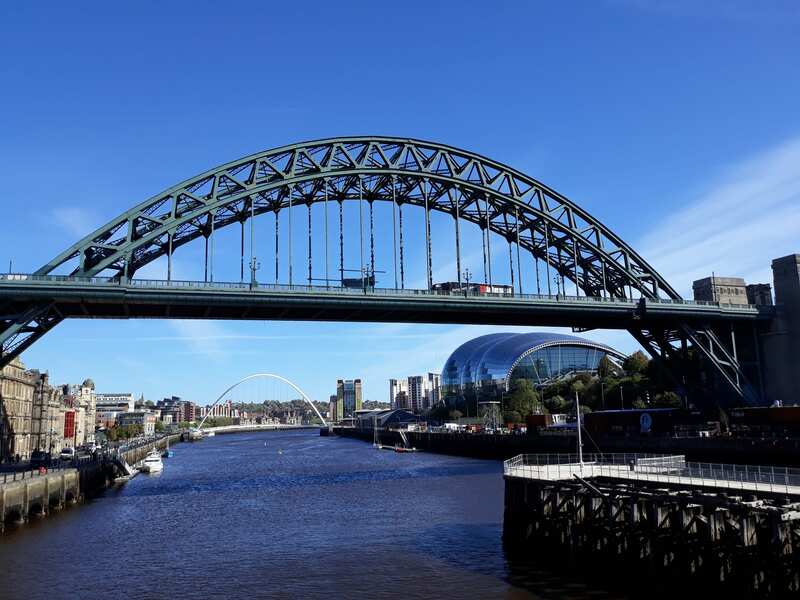 On Thursday 27th September I attended the Turnitin Summit, held at the impressive Sage Gateshead. This event was eagerly anticipated by many of us working in the area of electronic management of assessment (EMA) in UK HE, as Turnitin were to demo their new advanced marking functionality. Having been previously involved in some product development sessions with colleagues from Turnitin I had some idea of what we could expect, but it was great to see a live demo showing what has been built. The new version has many much-needed features, including improved support for sharing marking between multiple markers, double and double blind marking, and also an option to allow release of feedback prior to release of marks. Sector beta testing is due to take place in Q1 and Q2 2019, with general availability scheduled for Q3. As Bill Loller, VP for Product Management, mentioned when introducing the demo, this development is a real testament to some excellent partnership working between the company and UK clients, which, on the evidence of the day, will deliver some really tangible benefits for us. Another area of EMA which Turnitin are working on is support for moderation and I attended a useful session later on where we were able to feed in to this development. I was also interested to hear Marc Daubach, Chief Revenue Officer & SVP Customer Success, mention Turnitin’s recent acquisition of Gradescope, a company which have been developing solutions incorporating AI-assisted marking. Although my main focus for the day was assessment, there were also updates on the new “Authorship Investigation” product, designed to address contract cheating, and the “Code Investigate” tool, which checks similarity of software source code, currently in development. Work in small groups – students get connected with others in their group – instead of feeling like they’re in a class of fifty, they feel they are in a class of 5, 10 etc. Rise to the challenge – building community takes time – it takes planning and experimentation. Stick with it if it doesn’t immediately work! Suzi watched Building Community: A Conversation with Dave Cormier – a recording of an edX webinar from 2014 – video. Here Cormier, who coined the term MOOC, talks to edX about how they could and should use online learning communities. Collaborative learning is the one which he thinks is particularly – perhaps only – served by online communities. The real life equivalent being chaos, or maybe conferences (which, arguably, don’t work well for learning). He draws the distinction between mastery learning (where skills can be ticked off a list as you progress) and complexity. Communities are not a particularly useful tool for mastery, or for checking who has learnt what. They are much better suited for complexity. This seemed to echo discussions we’d had about the difference between using gamification and using playfulness in learning – gamification being more for mastery, playfulness for complexity. Cormier offers some tips on building a successful community. A community should have, should move people towards building, shared values and a shared language. Drive participation by having a famous person (but this can become one-to-many) or by asking annoying questions that people can’t resist engaging with (eg “how do we recognise cheating as a valuable part of education?”). Shape participation by assigning roles to people and having course leader presence to set the tone. Give people ways to get to know each other and make connections: recognising who people are and recognising aspects of yourself in them. His view on evaluation and measuring success might be more specific to the MOOC context. He suggests borrowing techniques from advertising to demonstrate their value (but he doesn’t give details). The outcomes he suggests you might hope for are things like building more interest in your research area, or building the brand of an academic / department / institution. He also asks some interesting questions. About the authenticity of work we give to students – how will their work persist? Can it be right that so much of students work is destined to be thrown away? About life beyond the community – how will the community persist? Communities are emotional – you shouldn’t just pull the plug at the end. Lots of this is challenging in an educational context. For instance, communities take time to build but we generally work with units that last for a teaching block at most. Our online Bristol Futures courses only last four weeks. I wonder if this is to do with setting expectations. Perhaps we need thin and thick communities: the thin communities being time-bound but with much more scaffolding and a narrower purpose, the thick communities being more what Cormier is talking about here. I also read The year we wanted the internet to be smaller (on the growth of niche communities in 2017) and 11 tips for building an engaged online community (practical advice aimed at NGOs). Both are interesting in their own right and worth a read. In both the idea of shared values, shared language and a sense of purpose came up. They also talk also recognition: communities as a place where you find “your people”. This resonates with my positive experiences of online communities but is, again, challenging in an education context. As Suzanne pointed out I think – if the tone and being among “your people” is important you must be able to walk out and find something different if you don’t feel comfortable. And it may be far better that you work with people who aren’t just “your people”, or at least who don’t start that way. Building Learning Communities in Online Courses: the importance of interaction, 2002 – Drawing on data from 73 courses offered through the State University of New York Learning Network (SLN) in the spring 1999 semester. Chrysanthi: Gamification in e-mental health: Development of a digital intervention addressing severe mental illness and metabolic syndrome (2017). Naomi read Stakeholders perspectives on graphical tools for visualising student assessment and feedback data. This paper from the University of Plymouth looks at the development and progression of learning analytics within Higher Education. Luciana Dalla Valle, Julian Stander, Karen Gretsey, John Eales, and Yinghui Wei all contributed. It covers how four graphical visualisation methods can be used by different stakeholders to interpret assessment and feedback data. The different stakeholders being made up of external examiners, learning developers, industrialists (employers), academics and students. The paper discusses how there is often difficulty pulling information from assessments and feedback as there can be a lot of data to cover. Having graphic visualisations means information can be shared and disseminated quickly, as there is one focal point to concentrate on. Its mentioned that some can include ‘too much information that can be difficult for teachers to analyse when limited time is available.’ But it is also discussed how it is important then to evaluate the visualisations from the point of view of the different stakeholder who may be using them. The paper looks at how learning analytics can be seen as a way to optimise learning and allow stakeholders to fully understand and take on board the information that they are provided with. For students it was seen as a way to get the most out of their learning whilst also flagging student’s facing difficulties. The paper also talks about how it brings many benefits to students who are described as the ‘overlooked middle’. Students are able to easily compare their assessments, attainment, and feedback to see their progression. Student’s agreed that the visualisations could assist with study organisation and module choice, and it’s also suggested taking these analytics into account can improve social and cultural skills. For external examiners, analytics was seen as a real step forward in their learning and development. For them it was a quick way to assimilate information and improve their ‘knowledge, skills and judgement in Higher Education Assessment. Having to judge and compare academics standards over a diverse range of assessment types is difficult and visual graphics bring some certain simplicity to this. For learning developers too, using these images and graphics are suggested to help in ‘disseminating good practice. The paper goes on to explain how it does improve each of the stakeholder’s evaluation of assessment. It goes into a lot of detail of the different visualisations suggested, commenting on their benefits and drawbacks of each set of data, which is worth taking a more detailed look at. It should also be noted that the paper suggested there could be confidential or data protection issues involved with sharing or releasing data such as this as in most cases this certain data is only seen at faculty or school level. Student demoralisation is also mentioned near the end of the paper as being a contributing factor to why these graphics may not always work in the best ways. It finishes by suggesting how it would be interesting to study student’s confidence and self-esteem changes due to assessment data sharing. It an interesting idea that needs to be carefully thought out and analysed to ensure it produces a positive and constructive result for all involved. This paper begins with the assertion that social media is potentially a “powerful tool in higher education” due to its ubiquitous nature in today’s society. However, also recognising that to date the role of social media in education has been a difficult one to pin down. There have been studies showing that it can both enhance learning and teaching and be a severe distraction for students in the classroom. What encourages students to actively utilise social media in their learning process? What pedagogical advantages are offered by social media in enhancing students’ learning experiences? To look at these questions, the researchers used Twitter in a lecture-based setting with 150 accounting undergraduates at an Australian university. In the lectures, Twitter could be used in two ways: as a ‘backchannel’ during the lecture, and as a quiz tool. As a quiz tool, the students used a specific hashtag to Tweet their answers to questions posed by the lecturer in regular intervals during the session, related to the content that had just been covered. These lectures were also recorded, and a proportion of the students only watched the recorded lecture as they were unable to attend in person. Twitter was used for two main reasons. First, the researchers assumed that many students would already be familiar and comfortable with Twitter. Secondly, using Twitter wouldn’t need any additional tools, such as clickers, or software (assuming that students already had it on their devices). Relatively early on, several drawbacks to using Twitter were noted. There was an immediate (and perhaps not surprising?) tension between the students and lecturers public and private personas on Twitter. Some students weren’t comfortable Tweeting from their own personal accounts, and the researchers actually recommended that lecturers made new accounts to keep their ‘teaching’ life separate from their private lives. There was also a concern about the unpredictability of tapping into students social media, in that the lecturer had no control over what the students wrote, in such a public setting. It also turned out (again, perhaps not unsurprisingly?) that not all students liked or used Twitter, and some were quite against it. Finally, it was noted that once students were on Twitter, it was extremely easy for them to get distracted. In short, the main findings were that the students on the whole liked and used Twitter for the quiz breaks during the lecture. Students self-reported being more focused, and that the quiz breaks made the lecture more active and helped with their learning as they could check their understanding as they went. This was true for students who actively used Twitter in the lecture, those who didn’t use Twitter but were still in the lecture in person, and those who watched the online recording only. During the study, very few students used Twitter as a backchannel tool, instead preferring to ask questions by raising a hand, or in breaks or after the lecture. Overall, I feel that this supports the idea that active learning in lectures is enhanced when students are able to interact with the material presented and the lecturer. Breaking up content and allowing students to check their understanding is a well-known and pedagogically sound approach. However, this study doesn’t really provide any benefit in using Twitter, or social media, specifically. The fact that students saw the same benefit regardless of whether they used Twitter to participate, or were just watching the recording (where they paused the recording to answer the questions themselves before continuing to the answers), seems to back this up. In fact, in not using Twitter in any kind of ‘social’ way, and trying to hive off a private space for lecturers and students to interact in such a public environment seems to be missing the point of social media altogether. For me, the initial research questions therefore remain unanswered! Having more of a personal agenda, and preparing for what I would say if I got 15 minutes with the VC. Various pieces of good advice for working effectively with other people. Chrysanthi read Gamification in e-mental health: Development of a digital intervention addressing severe mental illness and metabolic syndrome (2017). This paper talks about the design of a gamified mobile app that aims to help people with severe chronic mental illness in combination with metabolic syndrome. While the target group is quite niche, I love the fact that gamification is used in a context that considers the complexity of the wellbeing domain and the interaction between mental and physical wellbeing. The resulting application, MetaMood, is essentially the digital version of an existing 8-week long paper-based program with the addition of game elements. The gamification aims to increase participation, motivation and engagement with the intervention. It is designed to be used as part of a blended care approach, combined with face to face consultations. The game elements include a storyline, a helpful character, achievements, coins and a chat room, for the social element. Gamification techniques (tutorial, quest, action) were mapped to traditional techniques (lesson, task, question) to create the app. The specific needs of the target group needed the contributions of an interdisciplinary team, as well as relevant game features; eg the chat room includes not only profanity filter, but also automatic intervention when keywords like suicide are used (informing the player of various resources available to help in these cases). Scenarios, situations and names were evaluated for their potential to trigger patients, and changes were made accordingly; eg the religious sounding name of a village was changed, as it could have triggered delusions. The 4 clinicians that reviewed the app said it can proceed to clinical trial with no requirement for further revision. Most would recommend it to at least some of their clients. The content was viewed as acceptable and targeted by most, the app interesting, fun & easy to use. I wish there had been results of the clinical trial, but it looks like this is the next step. Roger read “Analytics for learning design: A layered framework and tools”, an article from the British Journal of Educational Technology. This paper explores the role analytics can play in supporting learning design. The authors propose a framework called the “Analytics layers for learning design (AL4LD)”, which has three layers: learner, design and community analytics. Types of learner metrics include engagement, progression and student satisfaction while experiencing a learning design. Examples of data sources are VLEs or other digital learning environments, student information systems, sensor based information collected from physical spaces, and “Institutional student information and evaluation (assessment and satisfaction) systems”. The article doesn’t go into detail about the latter, for example to explore and address the generic nature of many evaluations eg NSS, which is unlikely to provide meaningful data about impact of specific learning designs. Design metrics capture design decisions prior to the implementation of the design. Examples of data include learning outcomes, activities and tools used to support these. The article emphasises that “Data collection in this layer is greatly simplified when the design tools are software systems”. I would go further and suggest that it is pretty much impossible to collect this data without such a system, not least as it requires practitioners to be explicit about these decisions, which otherwise often remain hidden. Community metrics are around “patterns of design activity within a community of teachers and related stakeholders”, which could be within or across institutions. Examples of data include types of learning design tools used and popular designs in certain contexts. These may be shared in virtual or physical spaces to raise awareness and encourage reflection. The layers inter-connect eg learning analytics could contribute to community analytics by providing evidence for the effectiveness of a design. The article goes on to describe four examples. I was particularly interested in the third third one which describes the “experimental Educational Design Studio” from the University of Technology Sydney. It is a physical space where teachers can go to explore and make designs, ie it also addresses the community analytics layer in a shared physical space. This was an interesting read, but in general I think the main challenge is collection of data in the design and community aspects. For example Diana Laurillard has been working on systems to do this for many years, but there seems to have been little traction. eg The learning design support environment and the Pedagogical Patterns Collector. Amy read: Addressing cheating in e-assessment using student authentication and authorship checking systems: teachers’ perspectives. Student authentication and authorship systems are becoming increasingly well-used in universities across the world, with many believing that cheating is on the rise across a range of assessments. This paper looks at two universities (University A in Turkey and University B in Bulgaria) who have implemented the TeSLA system (an Adaptive Trust-based eAssessment System for Learning). The paper doesn’t review the effectiveness of the TeSLA system, but rather the views of the teachers on whether the system will affect the amount of cheating taking place. How concerned are teaching about the issue of cheating and plagiarism in their courses? What cheating and plagiarism have teachers observed? If eAssessment were introduced in their courses, what impact do the teaching think it might have on cheating and plagiarism? How do teachers view the possible use of student authentication and authorship checking systems, and how well would such systems fit with their present and potential future assessment practises? Data was collected across three different teaching environments: face-to-face teaching, distance learning and blended learning. Data was collected via questionnaires and interviews with staff and students. However, teachers also believed that students were lazy and wanted to take the easy way out, whereas students blamed pressure from their parents and the fact they had jobs as well as studying for reasons. Overall, staff were concerned with cheating, and believed it was a widespread and serious problem. The most common and widespread problem was plagiarism and ghost writing, followed by copying and communicating with others during assessments. When asked about ways of preventing cheating and plagiarism, teaching were most likely to recommend changes to educational approaches, followed by assessment design, technology and sanctions. Teachers across the different teaching environments (face-to-face, blended and distance learning) were all concerned with the increase in cheating that may take place with online/ eAssessments. This was especially the case for staff who taught on distance learning courses, where students currently take an exam under strict conditions. Finally, all staff believed that the use of student authentication and authorship tools enabled greater flexibility in access for those who found it difficult to travel, as well as in forms of assessment. However, staff believed that cheating could still take place regardless of these systems, but that technology could be used in conjunction with other tools and methods to reduce cheating in online assessments. What can an ed techie learn from the US civil service? I recently read Getting things done in large organisations by Thomas Kalil (profession: “expert” according to Google). Kalil worked for the Clinton and Obama administrations on science and technology policy. This is his attempt to share what worked for him. I was interested because 12 – nearly 13 – years in at Bristol and I’m still learning how to get things done. From what I understand of their structure and rate-of-change, civil service and universities are at least in some ways similar. The paper is aimed at “policy entrepreneurs”: people who generate or spot new ideas, then evaluate and (if appropriate) help make them happen. I grew up in the 80’s and the word entrepreneur brings to mind Rodney from Only Fools and Horses … I can’t imagine wanting to apply the term to myself. But the principle certainly applies within my role, and indeed many professional roles. Kalil starts by giving a bit of a career history, which is probably only relevant if you would like to become a policy advisor. This is the first 6 pages. The remaining 10 pages are pretty solidly filled with good advice. Here are some of the things most directly applicable to my role in digital education…. Would the people called be willing & able to do it? Is there anything we could change (for them or about the proposal) to make them more willing or more able? There’s something empowering about having an answer to this prepared. I don’t, but I will. How does your remit fit into the bigger picture? Related to the thought experiment above is the importance of keeping aware of – and actively looking for – areas where digital education can further the broader aims of the university. Relationships need to be a two-way street, not just one side dictating. It’s also important to understand the internal politics and personalities you are working with. Clearly the bulk of this is good advice for all relationships, professional and personal. Have an agenda. In my experience teams do tend to do this but, for personal job satisfaction at the very least, having a personal agenda makes some sense. Kalil has some good questions to ask on this (go read them) but key for me is: why do I believe this is the right thing to do and that it will work? Also, recognise that you won’t know the answers without listening to (and asking interesting questions of) other people. Make it easy for other people to help you. The example Kalil gives is: if you want someone to send an email, write it for them. Closely related to this is his advice for making follow-up more likely to happen: ask people if they think they can complete their assignment; document and follow up commitments; have deadlines, even if they’re artificial; if someone isn’t following up, try to find out why. Understand what tools are available to you. What are the things you / your team / the organisation can do to affect change? Be open to ideas from a range of sources. Engage with people from outside of your own contexts. Adapt and imitate what works elsewhere. Plan for a change in administration (surprisingly applicable in universities, this one). Nothing earth-shattering perhaps but good solid advice, much of which it’s worth being reminded of. I’d recommend it. Education Works is the blog of the Digital Education Office at the University of Bristol. Here we post notes about events we’ve attended, projects we’re working on, and other things that interest us. All posts are licensed under a Creative Commons Attribution 3.0 Unported License unless stated otherwise.